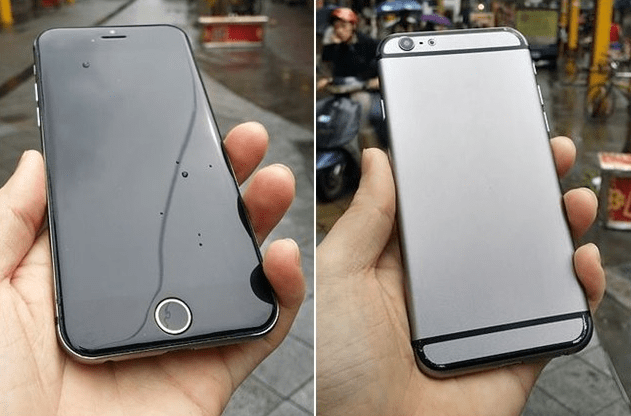 The Apple iPhone 6 could be resistant to the water. At least that is what the recent photos suggest, where although we cannot be sure if that was one of the prototypes or just a dummy submerged in water to show that the phone resists it. It gets exciting for us and everyone around as and when something new about the upcoming successor to the iPhone 5s comes into the news. Earlier, we learned that the iPhone 6 will be finally coming up with the larger screen size, and there would be variants, and the smaller one in that will have a 4.7-inch screen. Since then, there have been different photos from the sources (and no, they aren’t limited to the renders and concept images), and one of them is Sonny Dickson, who got famous for the leaks about iOS 7 last year. If you have been trusting these sources, the news about the water resistance might give you even more excitement, and if Apple fails to come up with this feature in the next iPhone, that should be a clear disappointment, given that most of the competitors, the flagships from Samsung, Sony have got the resistance to water and dust. The pictures show a resemblance to the device pictures shared by Sonny Dickson, with the home button having a gold colored ring around it. Compared with the iPhone 5s, the new one looks pretty large for the 4.7-inch screen and this should be a size which can be very much comparable with the flagship devices from the other brands, which are well bigger than the 5-inch standard set by the companies. Even the LG G3, the next flagship from LG is expected to come with the IP67 certification with the resistance to water and dust, and withstanding the submersion in up to 1 meter of water up to 30 minutes. It was quite a long ago when the then CEO of Apple, Steve Jobs had introduced the first iPhone to the world, and it had a 3.5-inch screen, and if you are an avid fan of the brand, you might have heard Jobs saying that large screen phones are not good, but the company now has to change the thoughts and come up with the larger screen phones, because of the competition in the market. One won’t be disappointed though, with the larger screen because it makes the phone slimmer and have a design similar to the current latest iPod Touch. Whatever may be the case, Apple hasn’t failed to surprise the fans every year. It was the fingerprint sensor under the home key, which took away all the attention last year, and the attempt from Samsung to do something similar in the Galaxy S5 failed quite a bit, thanks to the thin square home button which fails to recognize the fingerprint most of the time. Let’s see what Apple has in plans.